Direct fit replacement 21mm (17mm stock) rear sway bar from the Elantra Touring. Stiffen up that sloppy rear end of your Elantra and say goodbye to body roll! This is a genuine OEM Hyundai part so rest assured you are buying a quality part that fits perfect. Comes with bushings and brackets. End links are not included. 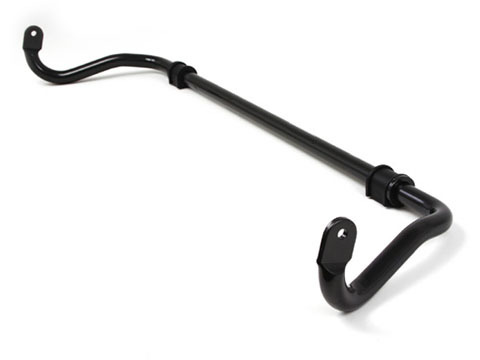 This sway bar is a great upgrade at a great price. One of the things I hated most about my Elantra when I got it was the way it was knocked around by the back wash from tractor trailers. After installing this thicker sway bar that is no longer an issue. Also when driving in high winds the car is hardly affected. I will see other cars being bounced around by the wind and the bushes swaying and think to myself â€œOh I guess itâ€™s windy outâ€�. The only thing that would make this a better kit would be polyurethane bushings rather than rubber. I highly recommend this to all Elantra owners.